ESPN International Track & Field PAL for Sony Playstation 2/PS2 from Konami (SLES 50036) 0 gün, 13h:02m:46s £2.25 Hemen al! TT Superbikes PAL for Sony Playstation 2/PS2 from Jester Interactive (SLES 51980) 1 gün, 13h:42m:55s £3.15 Hemen al! True Crime: Streets Of LA for Sony Playstation 2/PS2 from Activision (SLES 51753) 1 gün, 17h:08m:59s £2.25 Hemen al! 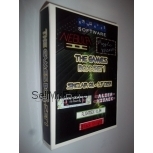 London Racer II PAL for Sony Playstation 2/PS2 from Davilex (SLES 50955) 2 gün, 10h:06m:36s £1.25 Hemen al! Final Fantasy X PAL for Sony Playstation 2/PS2 from Squaresoft (SCES 50490) 2 gün, 21h:44m:23s £4.20 Hemen al! Formula 1 97 PAL for Playstation 1/PSX by Psygnosis/Sony (SLES 00859) 4 gün, 13h:32m:25s £3.25 Hemen al! Premier Manager 2005 - 2006 PAL for Sony Playstation 2/PS2 from Zoo Digital Publishing (SLES 53238) 4 gün, 14h:14m:07s £1.25 Hemen al! Conflict: Desert Storm PAL for Sony Playstation 2/PS2 from SCi Games (SLES 50902) 4 gün, 21h:34m:45s £1.25 Hemen al! Final Fantasy X PAL for Sony Playstation 2/PS2 from Squaresoft (SCES 50490 ANZ) 5 gün, 22h:47m:09s £4.20 Hemen al! Grand Theft Auto III for Sony Playstation 2/PS2 from Rockstar (SLES 50330) 6 gün, 17h:30m:46s £2.25 Hemen al! Max Payne PAL for Sony Playstation 2/PS2 from Rockstar (SLES 50325) 7 gün, 14h:18m:01s £1.58 Hemen al! Burnout 2: Point Of Impact PAL for Sony Playstation 2/PS2 from Acclaim (SLES 51044) 8 gün, 20h:59m:27s £2.10 Hemen al! EyeToy: Play 3 PAL for Sony Playstation 2 from Sony (SCES 53315) 8 gün, 21h:55m:47s £2.25 Hemen al! EyeToy: Play for Sony Playstation 2/PS2 from Sony (SCES 51513) 9 gün, 07h:04m:50s £2.10 Hemen al! Need For Speed: Underground PAL for Sony Playstation 2/PS2 from EA Games (SLES 51967) 9 gün, 11h:02m:49s £2.63 Hemen al! Spiderman 3 PAL for Sony Playstation 2 from Activision (SLES 54723) 9 gün, 12h:49m:50s £1.75 Hemen al! Ghost Recon 2 - Advanced Warfighter 9 gün, 19h:58m:59s £3.95 Hemen al! 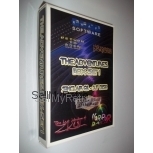 Thunderhawk 2: Firestorm PAL for Sony Playstation/PS1/PSX from Core Design (SLES 00145) 10 gün, 09h:58m:10s £1.25 Hemen al! Need For Speed: Underground 2 PAL for Sony Playstation 2/PS2 from EA Games (SLES 52725) 10 gün, 13h:38m:48s £3.15 Hemen al! Cricket 2002 PAL for Sony Playstation 2/PS2 from EA Sports (SLES 50424) 11 gün, 20h:57m:33s £1.25 Hemen al!